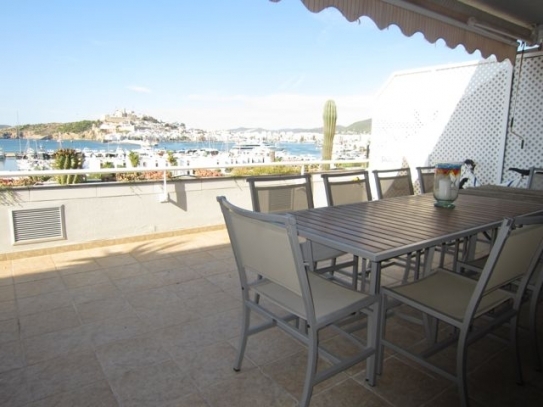 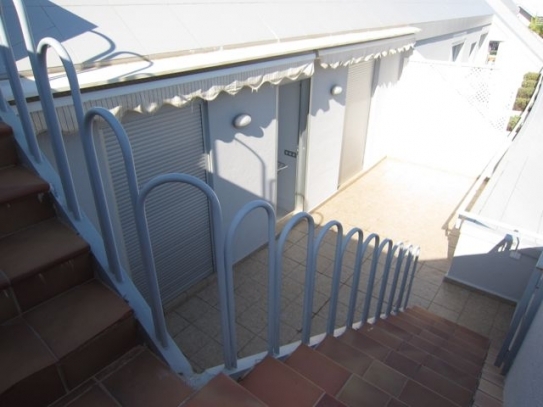 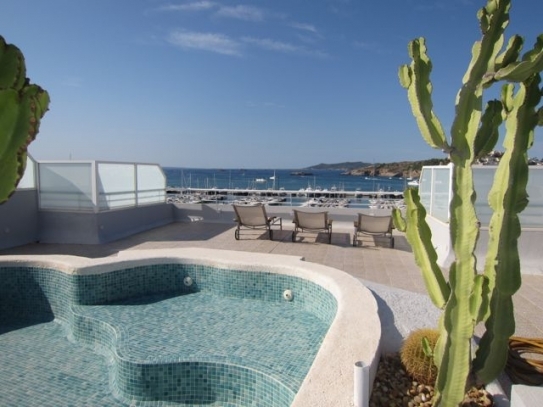 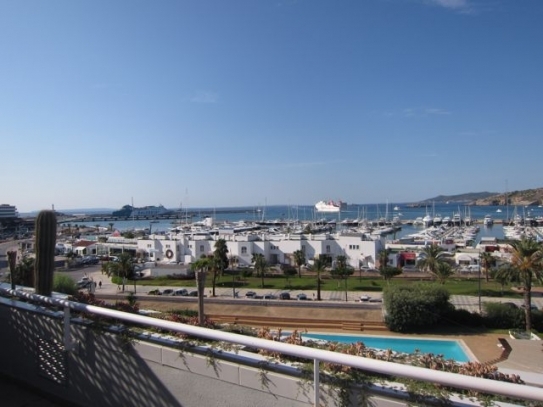 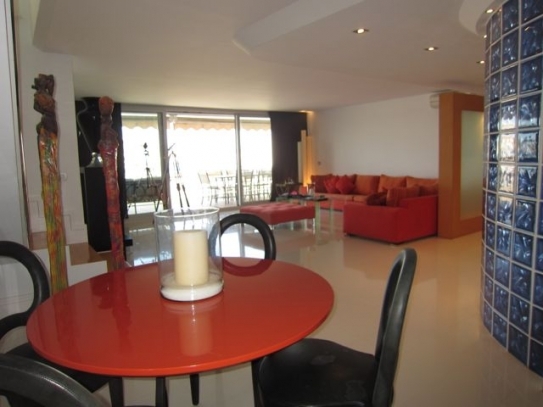 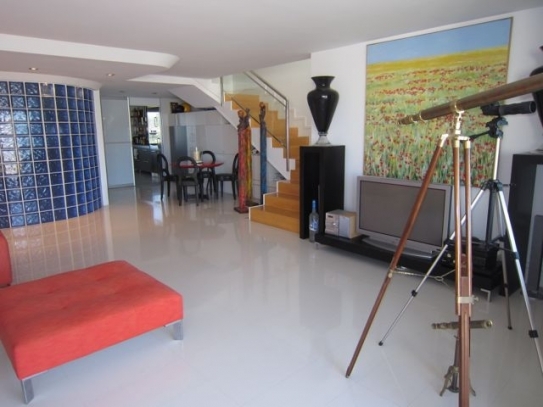 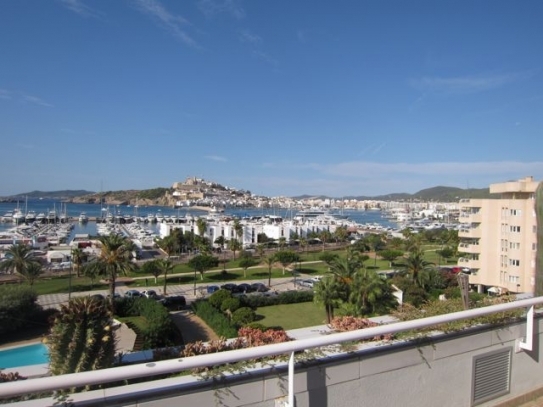 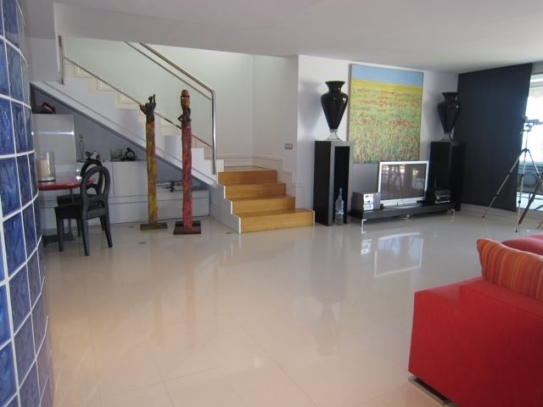 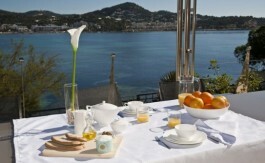 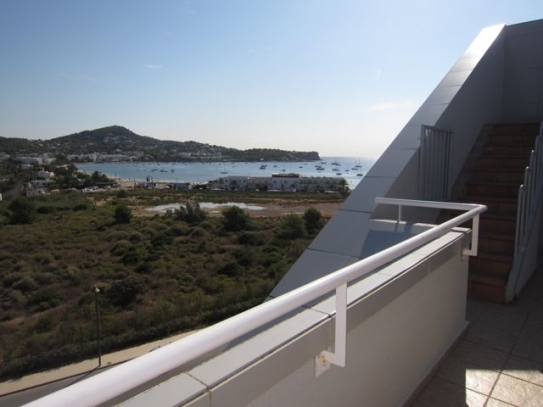 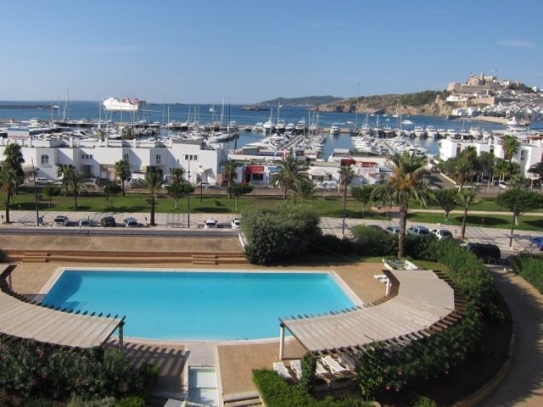 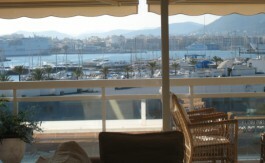 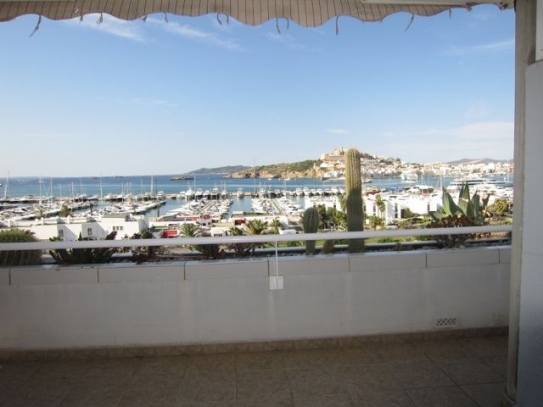 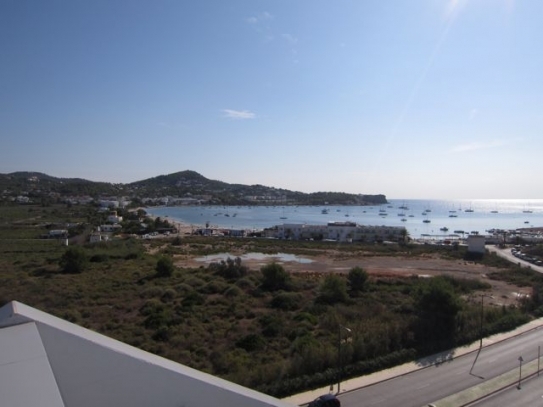 This fantastic triplex has 4 terraces with views over the port of Ibiza, Dalt Villa and Talamanca Bay. 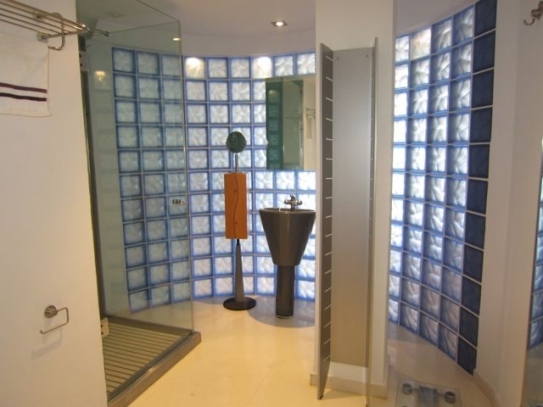 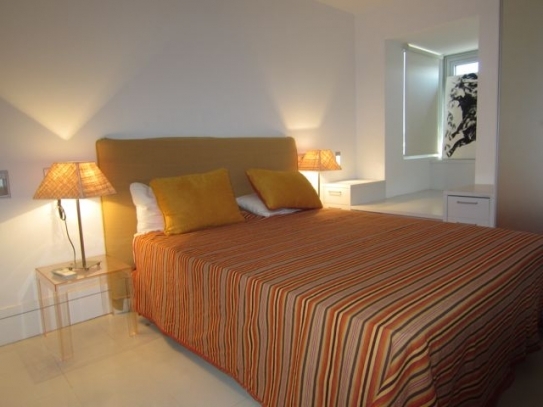 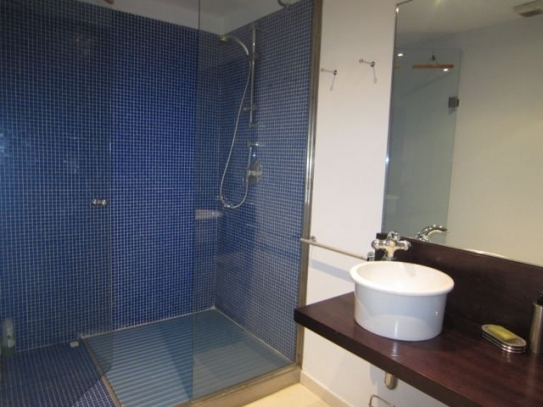 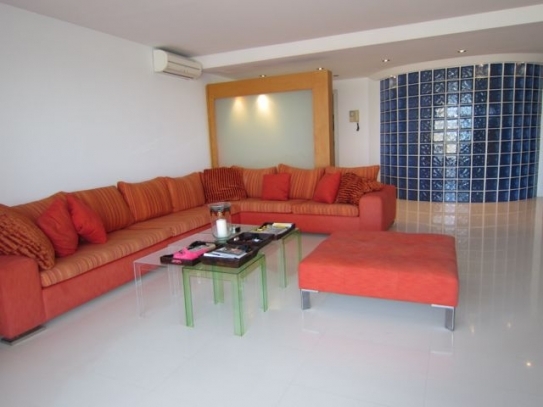 It has been renovated with marble floors to offer the convenience of upscale quality. 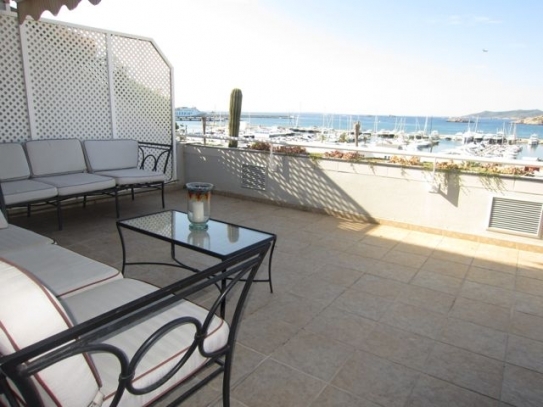 The entrance floor has a beautiful living room with direct access to a large terrace (9×4) overlooking the Marina and outdoor areas for dining and living room. 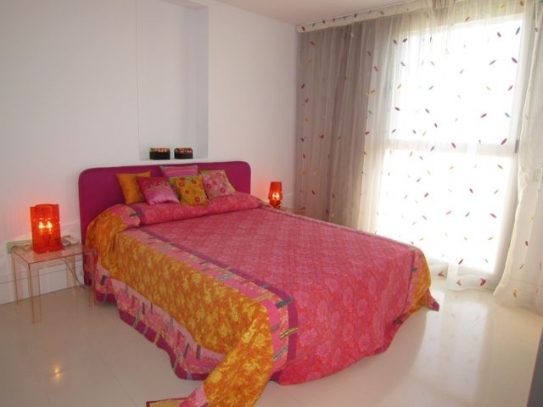 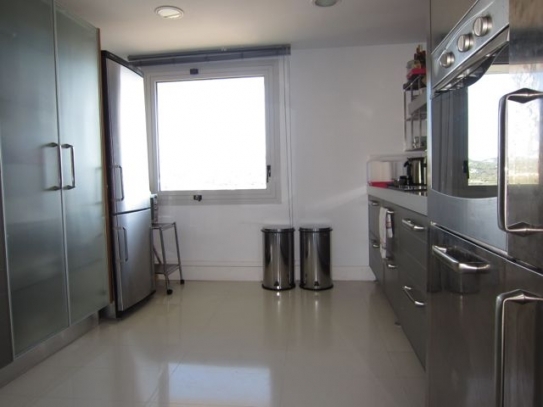 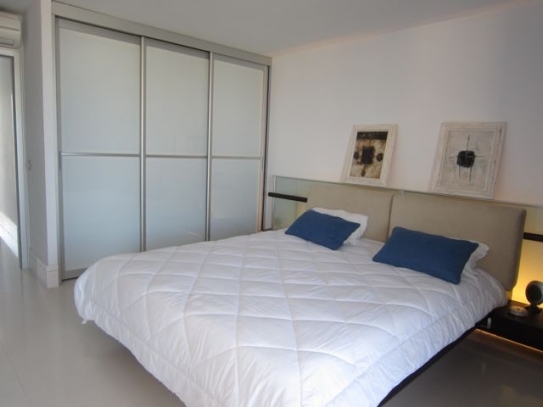 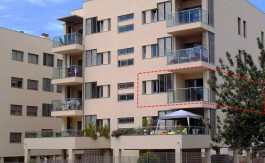 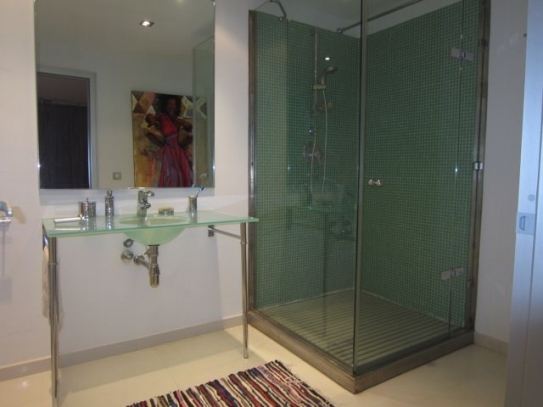 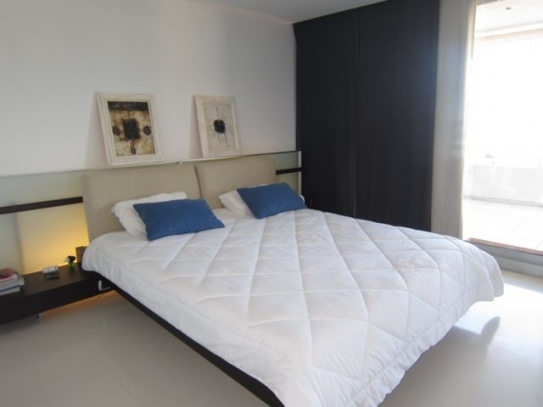 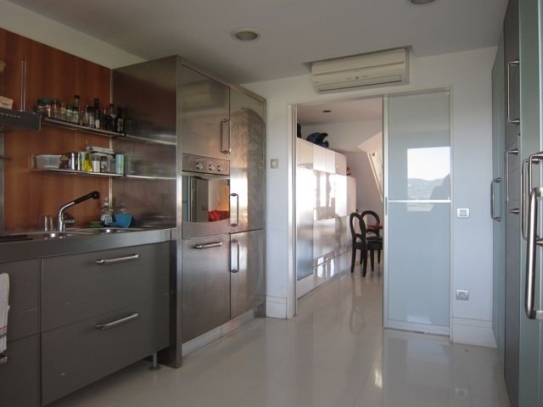 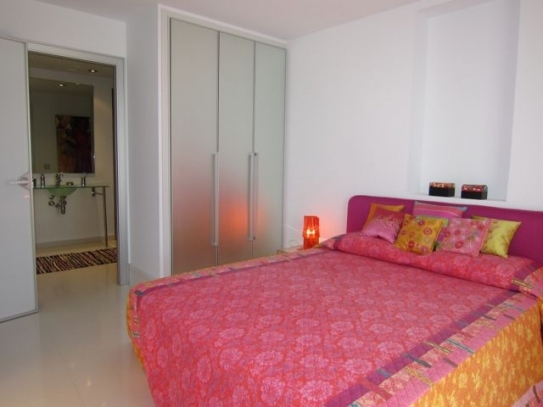 A fully equipped and spacious kitchen is located on the same floor with ensuite bedroom. 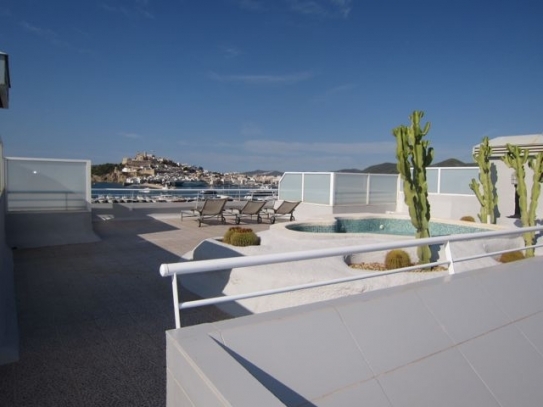 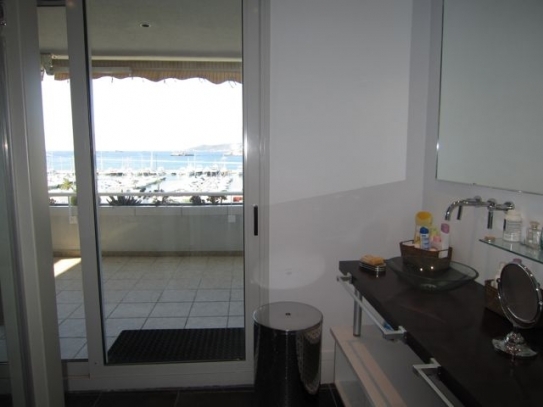 The second floor has 3 ensuite bedrooms: the master bedroom has a private terrace (6.5m x 80m) on the side of the marina and 2 bedrooms with terrace (7m x 2,.40m) on the side of the bay of Talamanca. 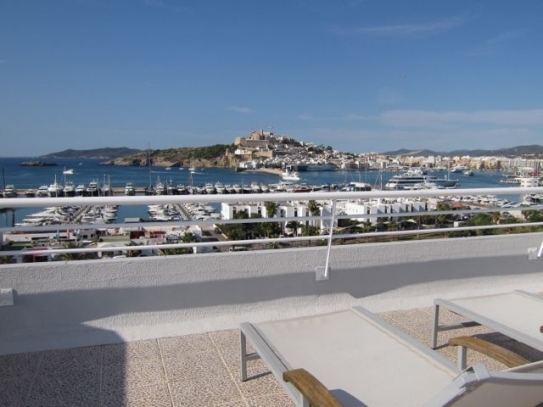 From the third floor you will enjoy a breathtaking view over the bay of Talamanca, the port of Ibiza and Dalt Villa to the mountains. 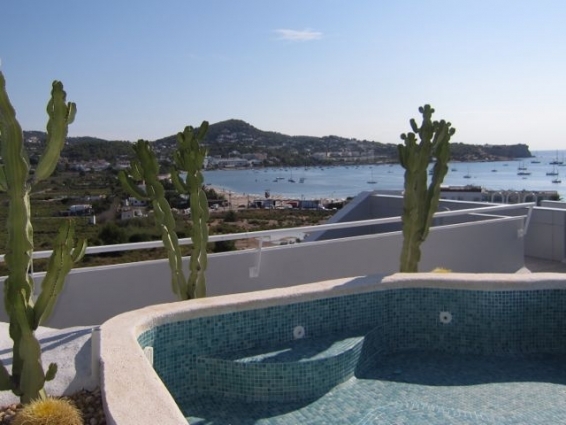 There is a spacious living room and an open air Jacuzzi on the roof.